The lush gardens in Crystal Palace SE19 are an indicator of the comfortable living of the residents and furnishing the houses with carpets and rugs and expensive sofas in the living rooms are not uncommon to this place of South London. Magic Carpet Cleaning in Crystal Palace SE19 offers wide array of cleaning services at very reasonable rates of keeping the carpets and rugs in good condition and all comes in affordable prices. Get in touch with us now by calling 0208 861 0979 or simply fill the form below to book a service. Upholstery cleaning is an art to revive the beauty of delicate items in carpets and use of wrong chemicals for cleaning the fabrics can damage the material. 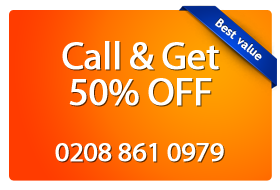 The technicians of Magic London Carpet Cleaning are well trained from reputed institutes on carpet cleaning and also the regular workshops are held to keep them abreast with changes in carpet cleaning methods. The effort that these professionals take to restore the lost glory of carpets can be a great help to people of Crystal Palace SE19 as the interior of houses will resonate the beauty of the popular outer areas.